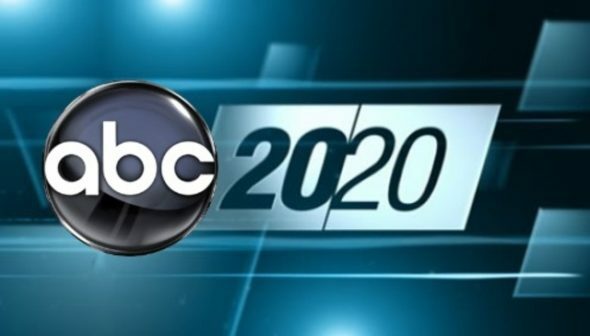 ABC has announced the second season of its 20/20: In an Instant TV show premieres Saturday, June 18, 2016 from 9:00 to 11:00pm ET/PT. Season two of the two-hour docudrama series will run for six weeks, from the premiere through the July 23rd season finale. 20/20: In an Instant is executive produced by Maria Awes and Andy Awes for Committee Films in association with ABC’s Lincoln Square Productions. Rudy Bednar is Executive Producer on behalf of Lincoln Square Productions. Get more information from this ABC News press release. Protecting children in a deadly tornado, a catastrophic car accident, a violent hostage crisis in a maternity ward… It can happen anywhere at any time — in an instant, life can change forever and that moment will define who you are. Returning for its second season, “In an Instant” does more than just re-tell heart-pounding first-person accounts of the world’s most harrowing tales of survival; it brings them to life with breathtaking dramatizations of the moments before and after life was forever changed. The powerful series features the trials and triumphs from every angle, and includes gripping first person interviews with the people who lived to tell their stories – and those who were instrumental in helping them survive. Ordinary people who have watched their lives flash before their eyes, stared almost certain death in the face and overcame it. What key decisions did they make to save their lives? “20/20: IN AN INSTANT,” when it is between life and death – and life wins, premieres on SATURDAY, JUNE 18 (9:00 – 11:00 pm ET) and runs for six consecutive weeks through July 23 on the ABC TELEVISION NETWORK. Jae Lowder checked into Alta View Hospital expecting to have a baby, but soon she was caught in a violent hostage crisis. She remembers hearing her baby crying…then gunshots…then silence. It would be 18 hours before Jae would know if a gun-wielding man on a rampage had killed her son Bryan in the nursery. New mom Cindy Tovey could only listen to the scene outside her room unfold in terror since she could not move, temporarily paralyzed from the waist down after a C-section. Like Jae Lowder, she spent agonizing hours wondering if her newborn was dead or alive. Rick Worthington, himself a father of eight, had burst into the hospital and vowed to start “shooting babies” if he did not find the doctor who performed a tubal ligation surgery on his wife two years earlier. Worthington erroneously claimed the doctor performed the procedure without his wife’s knowledge or consent while she was sleeping. Glade Curtis – sharing his story for the first time ever on television – was the doctor Worthington came to kill. He was at Alta View that night and called 911 after doing what he could to get babies out safely. But no one did more to keep moms and babies alive than the nurses – including Margie Wyler who helped a mom deliver her baby during the crisis and Karla Roth who sacrificed her own life in a brave attempt to wrestle a gun away from Worthington. It would take hours before police, hostage negotiators and the SWAT team could apprehend Worthington, who had a bomb at the ready to blow up the hospital. “20/20: In an Instant” is executive produced by Maria Awes and Andy Awes for Committee Films in association with ABC’s Lincoln Square Productions. Rudy Bednar is Executive Producer on behalf of Lincoln Square Productions. What do you think? Are you a fan of the 20/20: In an Instant TV series? Do you plan to watch the second season on ABC? More about: 20/20, ABC TV shows: canceled or renewed?, In an Instant, In an Instant: canceled or renewed? There is way too much repeating and so this would be more of a quality program if you cut it to one hour. One hour is plenty of time to tell the story. This is why I TiVo it so I can cut out all the repeats. Absolutely! I can’t wait for it to air again. I LOVED the 1st season and I am thrilled it is coming back for season 2.